In emergency, call anytime 24/7. Otherwise, please call during Office Hours. Faith Formation Office (PREP) Tel. 267-803-0774. St. Vincent de Paul Society Tel. 215-882-2707. Evenings 6:30 to 8:00 pm by appt. Fri.: 9 am to 12 noon; 1 to 4 pm. Eve. closed. Confession: 3 to 3:30 pm; 6 to 6:30 pm. 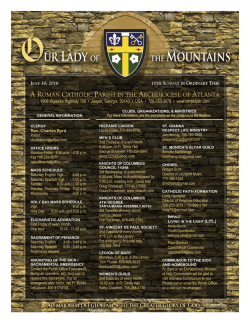 Vigil Mass: 4:00 pm (English); 7:00 pm (Spanish). No Confession: AM Masses: 7:00, 9:00, 11:00 am. Unit at Abington Health Center in Warminster. assigned Catholic chaplain for that facility. Anticipation”) uses Monday’s Feast Day liturgy, i.e. 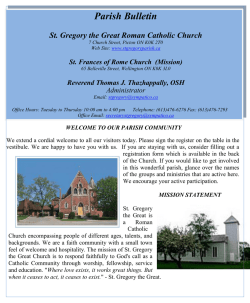 requirement to attend Sunday liturgy offered here on Sat. evening or Sun. morning at above times. Confession: 8:15 to 8:35 am. Daily Mass: 8:45 am. Church. We meet in the Gym. Strong arms and rucks a plus. Confession: 8:30 to 8:50 am. Rosary: 8:30 am. Lady of the Immaculate Conception. 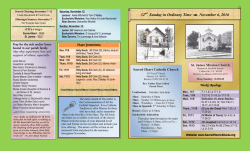 Eve and Christmas Day schedules. by this state of yearning. nothing here finally satisfies us. a perfect beauty that we haven’t seen. all things, by prayer and supplication, with thanksgiving, let your requests be known to God. Lord, you have blessed your land; you have turned away the captivity of Jacob." (Philippians 4:4–6; Psalm 85 (84):2). First Coming. Rose is the color of Joy. because our salvation is already at hand. PLEASE PRAY FOR OUR SICK AND INFIRM. Mon. : after 8:45 am Mass to 7 pm. Tues. to Fri.: 8 am to 7 pm. of above hours due to security concerns. Intention, Thanksgiving for Favor Received. be closed Christmas Week, Mon., Dec. 26 to Sun., Jan.
purifying fingers after Holy Communion. every week of 17 week NFL Season. our parish in financial stability. call Parish SVdP Tel. 215-882-2707.
personal grooming /hygiene items/toilet paper. eligibility, when to collect, & the application process? If so, this free session is for you! Come get answers to all your questions. needs your help! Christmas is around the corner. any part of a meal. return under the trees by yesterday 12/10. keep prayer and spirituality close to home for many. please fill out and return the form below. You will be contacted with detailed information. Sacred Heart of Jesus Statue. blessed”. 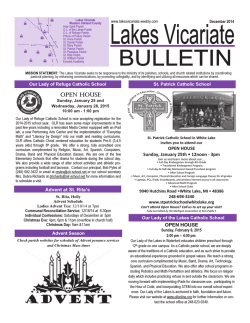 Please contact parish priest for information. drive over the past seven years. rolls have been donated to St.
this important collection drive throughout the years. difference and is very much appreciated. 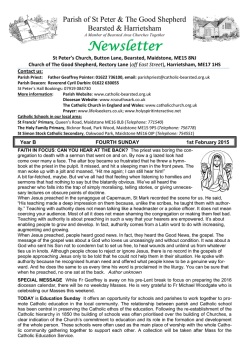 permission from “home” parish for Baptism at SJB. x Letter of Pastor for Christian Witness. teach’n learn, share and get inspired. Info.? Please contact Janet, Tel. 215-718-7841. We’ll meet in church right after 11 AM Mass. School “Choirs of Angels" Annual Fund! quality, efficient and low cost services, which public agencies could not easily replicate. "halo effects," led by Mr. Joseph Tierney of Penn's Fox Leadership program, can be found online. May God bless you during these days of Advent. Archbishop Charles J. Chaput, OFM, Cap. creation of opportunities and transmission of hope – is beyond measuring. scientists haven’t yet met God. Catholic identity and religious sense of mission. different notions of authentic human development. effectiveness of Catholic social work. So in Phila. common life for so many decades. End. of our region’s young persons and people in need. Greater Phila. area is about $ 4.2 billion annually. transmission of hope – is beyond measuring. never private. It naturally seeks public expression. on-going judge of their honesty and stewardship. Plates, utensils, coffee, tea and water will be provided. Please bring your favorite snack food and beverage if desired. ontezuma’s Aztec empire in today’s Mexico fell to Spanish conquerors under Cortes in 1521.
and routinely had practiced human sacrifice of their own children? Here is a brief version of the answer. Our Lady of Guadalupe, Mexico, with no sign of decay. Our Lady wears the garb of a pregnant Native American. common in that ancient culture. now Christianity's most visited sanctuary. by upper class Aztecs. Our Lady’s first apparition took place on such a walk. e.g., "Juanito, Juan Dieguito" , "the most humble of my sons", "my little dear". St. Juan Diego at the Basilica in Mexico City. Resource Credit: www.sancta.org has very good, well-organized info. antes de Misa Hispana a las 7 pm. Termina el domingo, 11 Dic. novena y rosario durante la Novena. Lady ofGuadalupe in church on Fri.
from 1 to 2:30 pm. Help is welcome!! Vols. Will take down the shrine on Wed. 12/14/16 at 6 pm. cantar 3 himnos tradicionales marianas. (Convivio en la Cafeterı́a) 11 Dic. cantata in church of Marian hymns. imagen es transferida durante el fin de semana en la iglesia. Burton J. Decker, Jr., Supervisor • Burton J. Decker Sr. , F.D. • Darlene C. Decker F.D. For ages 3-18 • REGISTER TODAY! Joseph H. Baskwill, Supv. • Crystal Vinogradov, F.D. Five Star Quality Painting Without The Five Star Price. Free Est. • 10% Off Any Job Over $1,500. Independently owned & operated franchise. James T. Meyers, F.D. • Timothy J. Meyers, F.D. Beer • Soda • Ice • Snacks • Lottery • Cigarettes Advanced Hearing Systems, Inc.